The popularity of the iPad tablet, and its unique capabilities make it an ideal tool for training. Here are five apps that can be useful in boosting your training efforts. Morris Cooke designed this iPad app for school teachers. Nevertheless, Explain Everything is perfect for building your own training module. Think of EE as a whiteboard on steroids. Anything that you write, type, or import on to the screen can be saved and you can simultaneous record the actions with your voice. Import a PowerPoint deck, and it will save each slide as a separate page within EE. Pinch in and out to resize text or photos, and move the elements about the screen. Use the camera on the iPad to take photos or record videos. 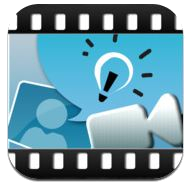 Video capture your presentation as picture-in-picture, or insert a pre-recorded video and play at any time. The program is incredibly robust. You'll have to spring $2.99 for the app. It's a heck of a bargain. This app is described as doing for PowerPoint what YouTube does for video. So if you want to widely distribute a PowerPoint deck SlideShare is the obvious choice with about 2 million views per month. It doesn't handle fancy animations or transitions, but otherwise works flawlessly. You can separately sync an audio track with the deck. For training purposes, you could quickly and easily upload an existing PowerPoint deck, and distribute to your team. The free version of SlideShare is public. If you need to protect your trade secrets, an upgrade is available with that feature. 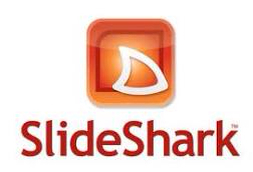 When it comes to using your iPad to make a PowerPoint presentation, SlideShark is the #1 app. It's easy to see why. It's an elegant slide presenter that handles PowerPoint special effects, transitions, and animations. If you have the correct Apple connectors it will interface with a variety of display screens or projectors, and you can even enable your iPhone as a wireless remote control – very slick. If you're using an external display set the iPad to presenter mode to display your notes and a timer. Kudos to the folks from Brainshark for developing this beautiful app. The basic app is free and it might be all you need. An upgrade to Pro get's you more storage, up to 5GB. YouTube is owned by Google and is the 800 pound gorilla of video sharing sites. It's highly commercialized, but does allow you the ability to block ads on your own videos. It's free, and clearly a good choice for distributing training videos. If you desire, make your videos private so that only your team or customers can see them. Embed them on your website, blog, etc., or if you wish, configure your own YouTube channel. I've had a Dropbox account for years, and used it regularly for file storage, but I'd never thought of Dropbox as a training tool. The sharing feature of Dropbox makes it an ideal cloud-based method of delivering training materials. However, configure Dropbox to share files and folders with different teams and remote locations and they can download and upload materials, work together on projects, and complete assessments. In essence, Dropbox becomes a basic Learning Management System (LMS). And since Dropbox is simple storage, it doesn't care what platform, programs, or file extensions are being used. Add this free app to your toolbox, and take advantage of its simplicity and strength. Naturally, there are dozens of other apps in the training space, but these 5 will get you started in the right direction. If you've got a favorite that I've missed please let us know in the comment section. This entry was posted in training and tagged Apple, apps, DropBox, Explain Everything, iPad, Slide Shark, SlideShare, training, YouTube. Bookmark the permalink.